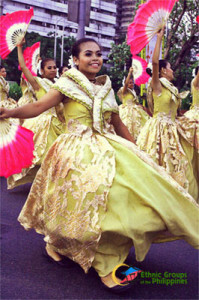 Manila – The Aliwan Fiesta is an anticipated yearlong event in the country. For three days in April, a large number of locals and tourists gather along Roxas Boulevard in Manila to witness each region’s cultural presentations and exceptional costumes. I have been very lucky to have witnessed this grandiose celebration and experienced it for myself for six consecutive years. More than a dozen participants from all over the Philippines competed this year's 2017 Aliwan Fiesta. It is branded as the mother of all festivals, since representatives from different regions gather together in one location, bringing all the famous festivals together. Winners in various contests, such as float design competition, street dancing battle, festival music showdown, and beauty pageant are selected thoroughly by a panel of judges. This year’s festival was as colorful as always. Since its inception in 2009, the number of participants in the event from Luzon, Visayas, and Mindanao has noticeably increased. The preparations take months as dance teams practice to participate in the street dancing battle, while craftsmen work hard to build the traditional props that will be used on the day of the event. One of the most anticipated highlights of this merrymaking are the float and dance competitions, which showcase the unique works of art by the contingents. Luzon was represented by Muntinlupa, Antipolo, Bulacan, Isabela, and Baguio. The delegates from Visayas were from Catbalogan, Iloilo, Guimaras, Negros, Tacloban, and Bacolod, while the provinces of Maguindanao, Sarangani, Cotabato, and Sultan Kudarat represented Mindanao. The Luzon contingents for this year’s street dance competition were the Banhayan of Muntinlupa, an annual Thanksgiving festival held on the feast of St. Nicholas of Tolentine, Antipolo's Maytime Festival honoring its patroness (Our Lady of Peace and Good Voyage), the Panagbenga festival of Baguio that showcases its myriad blooms, the Balitok ti Alicia from the province of Isabela, which highlights the towns as the primary producer of palay, and the Niyogyugan Festival of Dolores in Quezon, which celebrates the coconut industry in the region. The celebration began at around 5 p.m. with plenty of spectators who eagerly anticipated each presentation. Debuting this year were the Manggahan festival of Guimaras, who won second runner-up for the dance competition, and the Cinco de Noviembre of Bago City, Negros Occidental who bagged third place for the float parade. Iloilo’s Dinagyang Festival and Tacloban’s Sta. Cruz de Mayo were hailed as the champions for the street dance and float design competition, respectively. Visayas delegates included the highly acclaimed Dinagyang Festival of Iloilo that features the indigenous tribes’ offering to the Infant Jesus, Catbalogan's Manaragat Festival, which honors the patron saint of Catbalogan City, St. Bartholomew, who is believed to keep the Maqueda Bay rich in marine resources, the Cinco de Noviembre of Bago City, Negros Occidental that commemorates the bloodless revolt of the Negrenses in November 5, 1898 against the Spanish conquistadors, and the Manggahan festival of Guimaras, which promotes the mango industry of the island. The Mindanao representatives included three groups from the Autonomous Region in Muslim Mindanao, namely, Datu Piang’s Inaul Festival, which promotes the Inaul fabric, the Meguyaya Festival of Upi that commemorates the unity among people of different cultural backgrounds, and Parang's Padang Padang Harvest Festival. There was also one representative from SOCCSKSARGEN, which was the Timpuyog Festival of Kiamba, Sarangani, which portrays the colorful culture and unity of the Lumads, Muslims, and Christians in the province. For 15 years, the Aliwan Fiesta has unceasingly promoted the rich culture and traditions of Filipinos through showcasing the best of Filipino festivals in one event. Furthermore, it holds trade fairs that feature different produce and goods from local producers, while visitors get to taste food delicacies as well as score bargains on merchandise from different provinces in the country. Hopefully, events such as this will inspire the succeeding generations to further promote the country’s culture.